Puzzle games inherently run the risk of frustrating players. If a given puzzle can’t be solved within reasonable time, it starts to feel more unfair than challenging. Setting a puzzle game in VR is even riskier, as such roadblocks threaten to immediately ruin player immersion. When done well, it works wonders. Otherwise, you get Blind. With uninspired puzzles and a squandered central gimmick, Blind seeks not to test your intelligence or senses, but your patience. A young woman, Jean, experiences a car accident with her little brother. She wakes up to find her brother gone and herself trapped alone in an unfamiliar mansion. She learns she has lost her sense of sight, but can now navigate using echolocation. Her kidnapper, a masked man known as the Warden, will allow her to escape only if she completes his gauntlet of puzzles. Wandering around the mansion’s dark hallways as Jean, guided only by ambient noises, can only be described as incredibly eerie. You never know what is around you, let alone around the corner. Soon you’re given a cane. It’s your only weapon against the darkness — tapping it on the ground creates a ripple of sound, illuminating your surroundings. Fragments of Jean’s past resurface, mixing themselves with the present. Blind is wrought with mystery and high-tension, at least until you encounter the game’s puzzles. Though each of the puzzles varies both visually and mechanically from one another, they are often presented so cryptically that it’s hard to avoid feeling frustrated. In one instance, a door must be unlocked by inputting a sequence of symbols. These symbols are shown as musical notes on a nearby chalkboard, but you will never be able to deduce the sequence simply by studying it. Jean’s “hints” are unhelpful, as she only points you towards this chalkboard which you already know about. It took me more time than I’d like to admit before I realized I was supposed to grab a tape recorder from another part of the room, and hold it up against the chalkboard in order to reveal the correct symbols. The other puzzles are similar; their solutions don’t hinge on your intelligence or problem-solving skills, but rather on your ability to rifle through the environment until locating the key object required. It’s also ironic that all but one of Blind’s puzzles rely on sight, failing to take advantage of the echolocation ability. Echolocation is only necessary because if you stay silent for even a few seconds, the world darkens completely and you become unable to see. This means you will often be tapping the cane like a madman just to keep a puzzle in sight. Blind is at its worst when it takes the cane away from you toward the end. This brief section is meant to challenge by taking away the mechanic you’ve grown so dependent on, but it falls completely flat. Here, sources of ambient noises are few and far between, turning what should be a simple walk through the mansion into an infuriating maze. A lone water kettle can be set to boil to generate some noise, but its illuminating effects are minimal. It’s baffling why there aren’t more opportunities like the kettle sprinkled throughout, in which you can manipulate the environment to work in your favour. This section also tasks you with finding three small cogs in the pitch-darkness, and after turning the whole area upside-down for them, I was ready for Blind to end. Perhaps Blind’s biggest fault is its length. The narrative loses steam long before you reach the ending. Due to lackluster writing and voice acting, Jean and her family members come across as flat and unrelatable, making it difficult to care for their plight. Even the Warden, arguably the most intriguing character of all, never quite evolves from the enigmatic presence you meet in the opening. I counted at least three occasions in which I swore Blind was coming to a close, only for the journey to continue further. By the end, it’s obvious Blind has run out of ideas, as it abandons its puzzles and instead turns into a stealth game. 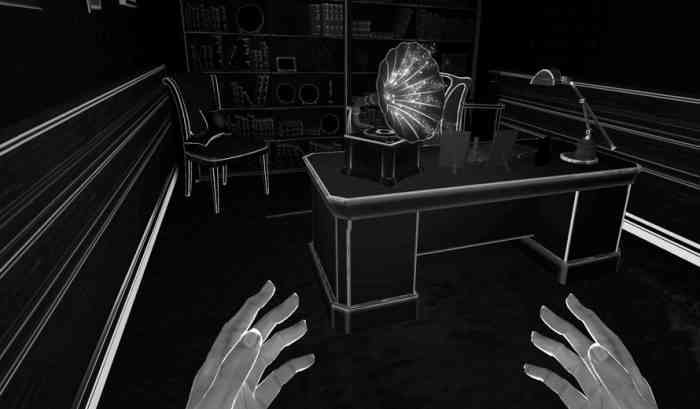 Blind takes a novel VR concept and does nothing interesting with it. There is little here that you won’t be able to find in better alternatives of the genre, even if we’re only talking about other VR titles. If Blind was shorter and had less aggravating puzzles, it may be worth a try out of curiosity alone. 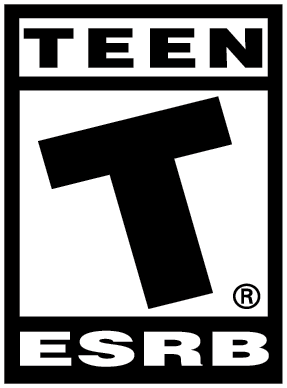 But when a game is this testing of a player’s patience, it’s very hard to recommend.